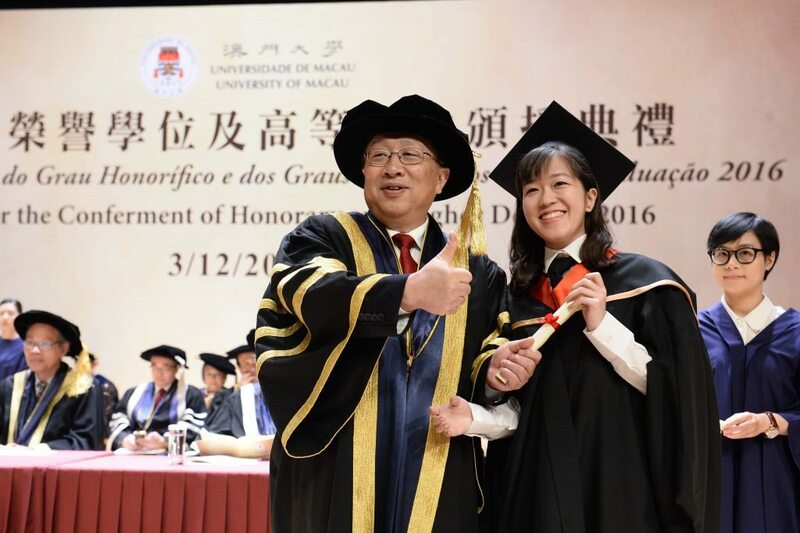 The University of Macau (UM) today (3 December) held the Ceremony for the Conferment of Honorary Degrees and Higher Degrees 2016. 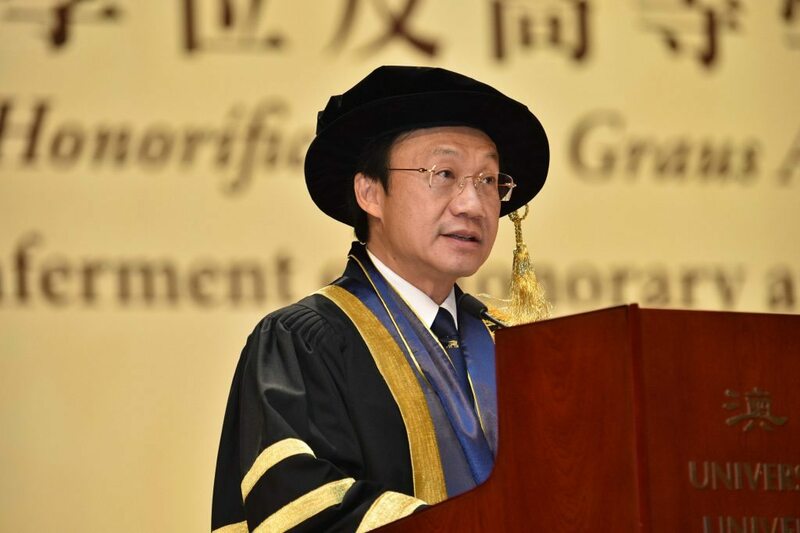 This year, 852 graduates of PhD degree programmes, master’s degree programmes, and postgraduate certificate/diploma programmes, received their graduation certificates. 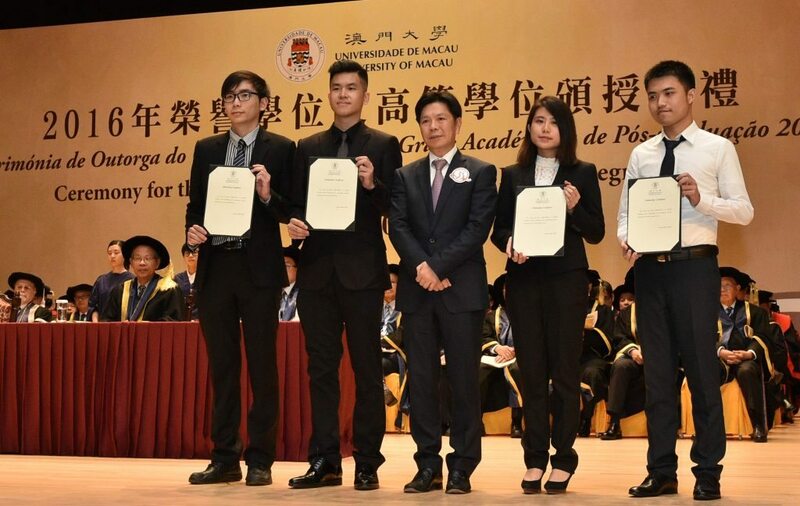 Secretary for Social Affairs and Culture Dr Tam Chon Weng officiated at the ceremony on behalf of Dr Chui Sai On, chief executive of the Macao SAR and chancellor of UM. 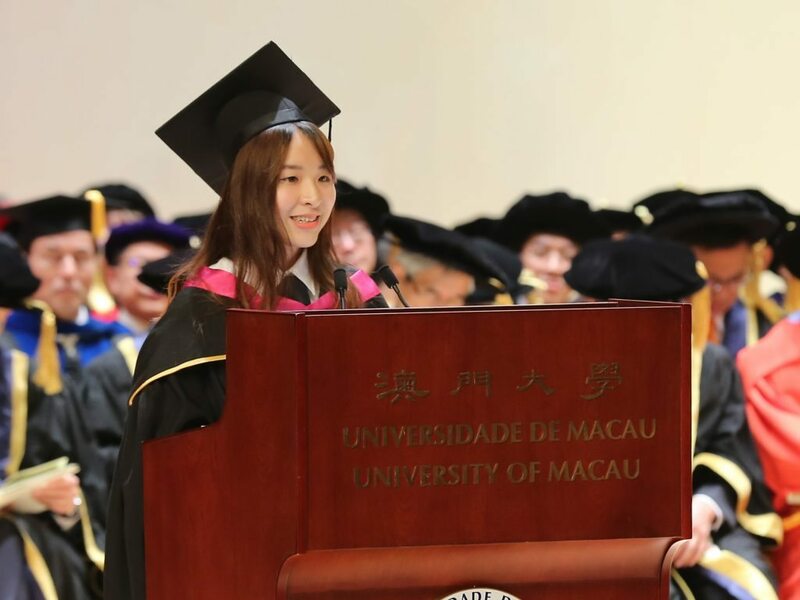 Tam said that UM’s education model helps enhance its own quality and the quality of higher education in Macao, adding that he appreciates what UM has done to facilitate cultural interaction between China and Portuguese-speaking countries. Chao Kit I, representative of the graduates, thanked UM for its education and for the opportunity to study at the City, University of London, as an exchange student. ‘Part of my exchange experience even included producing subtitles and translation for some amazing movies,’ she said. Chao also thanked the professors for instilling in the students a love of learning. 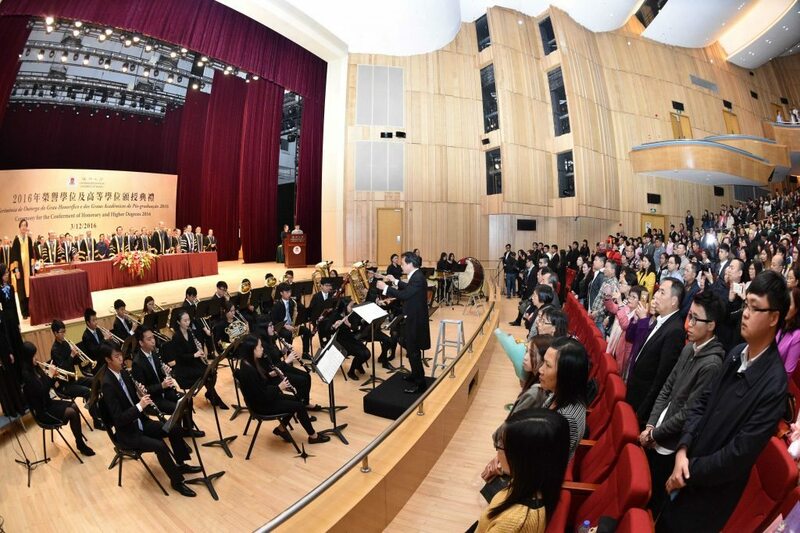 This year, a total of 852 students from PhD degree programmes, master’s degree programmes, and postgraduate certificate/diploma programmes, received graduation certificates. Among them, 66 received PhD degrees, 731 received master’s degrees, and 55 received postgraduate diplomas/certificates. 15 outstanding master’s students and graduates received scholarships.